This is a partial preview. Full document is 69 slides. View large preview. 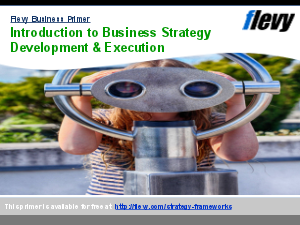 This presentation provides a review of external thinking of corporate strategy by a leading strategy consulting firm. 1. What is corporate strategy? It discusses the origin, characteristics, pros and cons, and key considerations in application of major schools of thoughts in corporate strategy. A must-read for business leaders and strategy consultants! Growth Strategy? Strategy Development? Bain Presentations? Or something else.